When a charismatic man walks into the New York bar where Thea bartends, her heart beat spikes up a notch and she’s instantly drawn to him, where for just one night she falls under the charms of a handsome stranger named Logan, and vice versa. One thing leads to another and he takes her up to his room where their unbridled passion is unleashed. We were just Logan and Thea, two strangers with chemistry off the charts. Thea and I had agreed on just one night. One incredible night. The next morning we’d walk away from each other with no strings attached. Needless to say Thea had made an impact on Logan and after that night she was never too far away from his thoughts. Finding out she’s pregnant and with only the guys first name to go by she has no way of making contact with him and up sticks to Montana. Neither of them expected to see the other again, so the last person Thea expected to see was the guy she spent that one night with all those years ago turn up in Montana standing in the dingy, bar where she works, sipping on the tequila shot she’d just poured him worlds away from New York. He’d come to Montana on a business venture, so it was a flying visit. And when thirty three year old Logan Kendrick claps eyes on Thea, is the same day he unexpectantly finds out that he’s a father to a six year old daughter named Charlotte aka Charlie. Needless to say he’s beyond shocked but puts work on hold for a week to get to know his daughter and vice versa. Logan is a workaholic, chained to his cell phone, his life is his work, and his life is in New York and Thea's and Charlies is in Lark Cove, geographically they are worlds apart. I adored Charlie, the wild child at heart!! The wee tom boy!! She was just adorable and I'm so glad we got her in this story. The heroine Thea is the type you sit back and root for, crawling her way through life with all the hard knocks kicking her down, she's strong and independent to a fault, throughout it all she stayed true to herself, not once did she become bitter and you truly love her strong willed character. And even though Logan was born with a silver spoon in his mouth and life just fell in his lap he didn't abuse his affluent life, he'd rightly made a name for himself, he also appreciated what he had so this is where these two worked. This was so beautifully written, where your heart turns into utter mush, and all the feels come rushing at you out of nowhere. 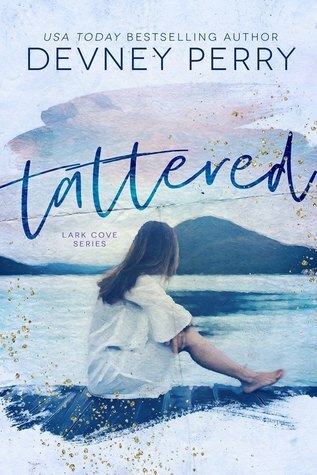 Tattered is a truly unforgettable second chance love story at it’s best. And these types of reads are my kryptonite.